I've had this bag for 10 or maybe even 15 years. It was the first one I ever liked, because it was small, black, sturdy and had lots of compartments. And then it developed a hole. It was just a small hole at first, but then I noticed that quarters were at risk of falling out. 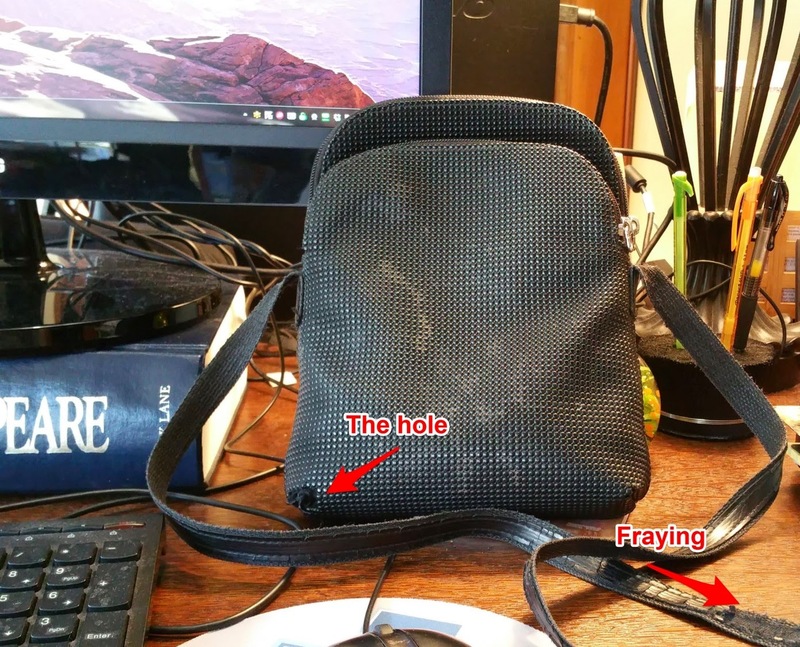 Soon thereafter, I noticed the strap was fraying. And then I started noticing that it was often stuffed to the gills, making it hard to find things, and get them out. And most sadly of all, my wonderful new phone - the Samsung Galaxy Note 4 - did not fit easily into its appointed compartment. Easy. I never thought I'd find another one I liked. But I did, and it's actually better. The new bag is also black and sturdy, but it is larger, lighter, and holds everything in roomy comfort - including my ginormous phone. And it has even more compartments than the old one. You know what's coming next: The metaphor! When a habit, hobby, volunteer activity, work assignment, or even a career, develops signs of no longer working, it's time to consider moving on to something new. And what comes next is often better. As you look ahead to the new year, ask yourself: What is no longer working for me?